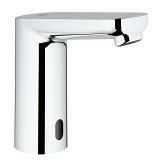 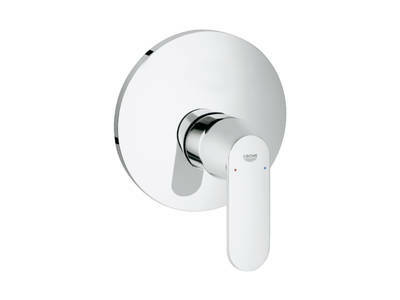 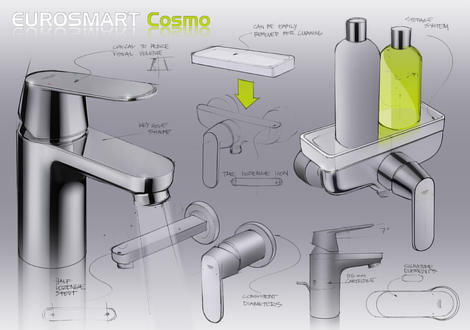 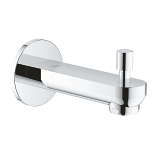 Reflecting the core values of Minimalism, Eurosmart Cosmopolitan is the modern favorite in the bathroom. 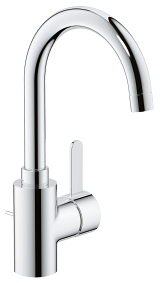 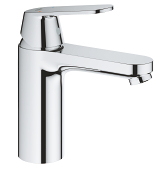 Finished in sparkling GROHE StarLight® chrome, the conical transition from the tap body to the lever handle conveys a refined form without sacrificing solidity. 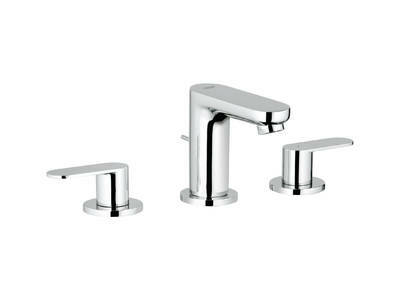 An extensive line up of products brings architectural design preferences to a wider audience and includes four styles of basin tap to complement the latest bathroom ceramics. 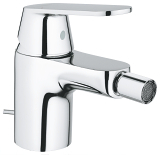 WELL is a product classification system devised by the European Association of Valve Manufacturers (EUnited Valves). 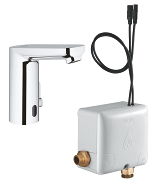 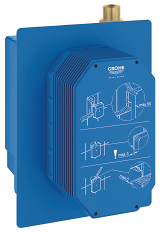 Similar to the EU energy-efficient labelling, already found on the majority of white goods such as dishwashers and washing machines, WELL was established to promote responsible water usage and to provide an easy-to-understand evaluation system for consumers and professionals. 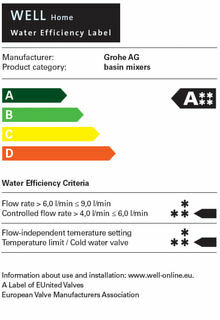 A two-star classification is the maximum that can be achieved in each category. 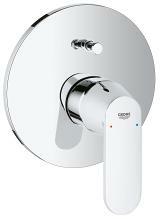 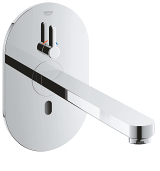 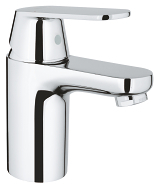 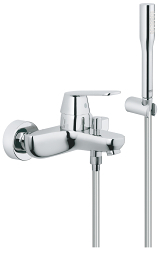 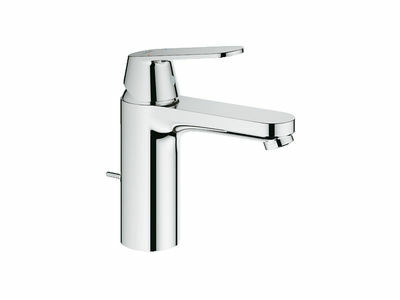 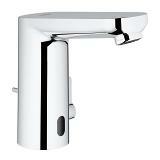 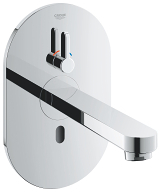 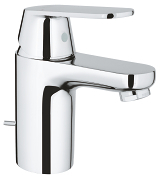 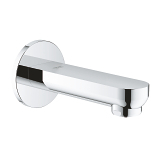 The Eurocosmo EcoJoy™ basin mixers have achieved the maximum total of four stars resulting in an A rating.